If your looking for something a more unique in design to protect your iPhone then the iMeshi iPhone 4 Food Cases are definitely worth a look. 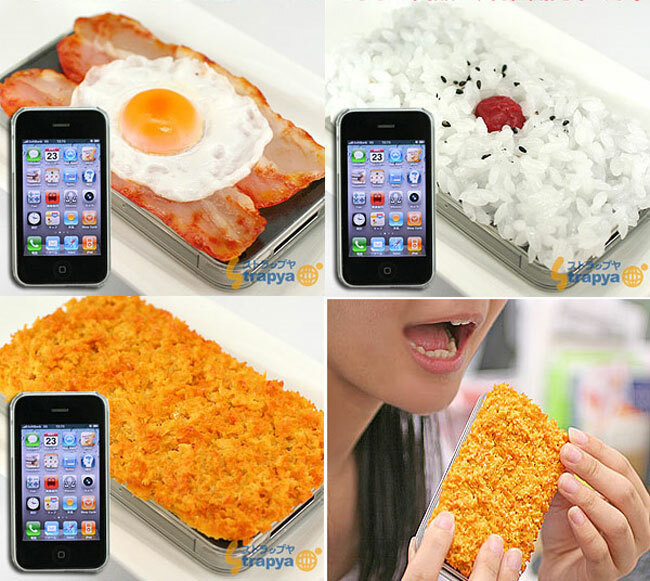 The iMeshi iPhone 4 Food Cases both protect and disguise your mobile as a tasty snack from bacon and eggs to sushi rice. The cases are designed to resemble some of Japan’s most popular food and are currently are still in the manufacturing stage. The photos shown are of samples and don’t have holes of the cameras but the full production cases will. There are 4 different foods to choose from and they are available for around $43 from the Straypa website, for the iPhone 4, 3G and 3GS.